The Rotary Club, Bangalore, was approaching an important milestone and it needed creatives that would meet impeccable precedents and reflect the organization’s age-old altruism and prestige. After all, it’s not every day that an institution like Rotary turns 25. 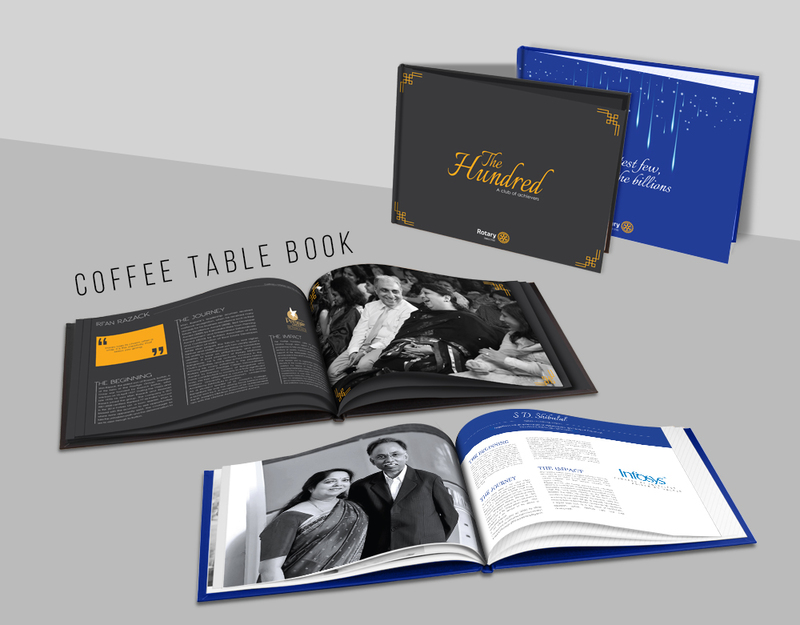 We artfully designed a coffee table book that would do justice to this momentous occasion. The coffee table book was titled – ‘The greatest few amongst the billions’. With a posh look-and-feel, we highlighted some of Rotary’s greatest achievements in the last quarter of a century, and spoke about some of its most noteworthy members. The Rotary Club was delighted with the coffee table book and it received stellar reviews from Roatarians. Our design capabilities clearly stood out and received commendation from some of the city’s most recognized faces. There was much praise heaped on Circuit 9, and there’s nothing quite as rewarding as a client’s resounding approval.